Woody Miller (left) and his son Bode Miller (right) celebrate Father's Day early in New York City. Aspiring winter athletes across the country and around the world look up to Bode Miller. They do so with good reason; with six medals to his name, Miller is the most decorated male Olympic skier in U.S. history. But it was a long climb to that pinnacle. Years ago, before the medals and acclaim, Bode was a little boy in New Hampshire who looked up to his father, Woody. Now a father himself, Miller tries to model some aspects of his own life after his father’s. In New York City last Monday, Miller had a chance to recognize that inspiration at a Father’s Day-week event sponsored by tequila company Jose Cuervo. After Bode presented Woody with a bottle of Jose Cuervo Reserva de Familia, father and son spent time flipping between reminiscences of the best and worst moments of Bode's career, which he identified as the combined run in the 2003 world championships in St. Moritz and the 2014 World Cup downhill in Kitzbuehel Austria, respectively. He spoke about his fitness, his future skiing plans and plenty of other topics that reporters brought up. The subject Body spoke about most enthusiastically, though, was his relationship with his father. ​Living in the woods of New Hampshire, Woody and Bode’s mother, Jo Kenney, homeschooled Bode and his siblings. When the kids weren’t in the books, Woody had them outside, learning all kinds of lessons, the kind that Bode would take with him into adulthood as well as all the way to the top of U.S. skiing. If that sounds familiar, it should. One does not become an Olympic skier without patience and hard work. 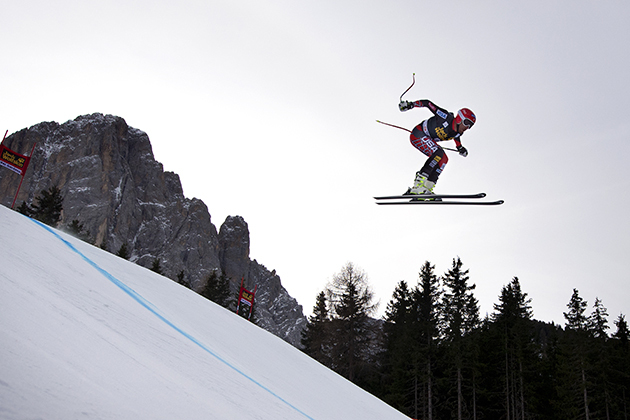 One does not reach the apex of Olympic skiing without self-belief, imagination and a tremendous motor. These are all traits that the father and son Miller share. The commitment and attention that Woody showed Bode as a child taught the junior Miller more lessons than he realized; some of Woody’s wisdom has only recently taken hold as Bode acclimates himself to fatherhood. The New York cameo held extra significance to Woody, who doesn’t get to see his son or grandchildren as often as he would like. Woody still lives in New Hampshire; Bode and his family reside in California. But the distance has done nothing to shake the bond that was forged in those New England woods almost four decades ago. Woody Miller told a story of listening to an interview of Bode in which he spoke about his perspective of humans as animals. He said that, while it wasn’t something that he’d tried to pass on to Bode, that perspective of human beings was his originally. That time together—with both of his parents—is what formed the foundation for Bode Miller's success. Now it's also the foundation for his own family, as the son goes forth with children of his own.